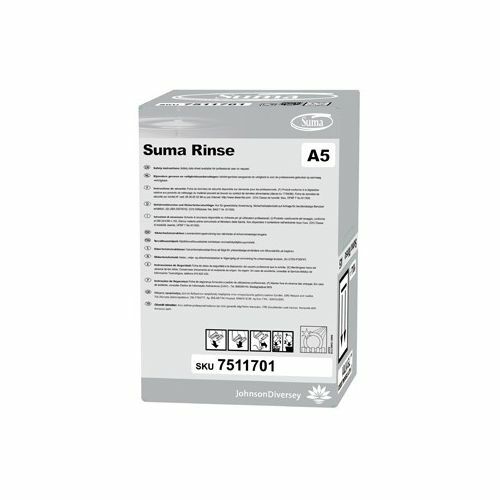 10 litres of Suma Rinse A5 Safe Pack. 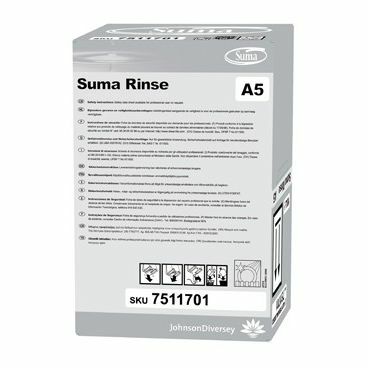 Safe Pack is a unique packaging system designed to make auto dishwashing completely safe for the user. The packaging dramatically reduces waste and is 100% recyclable.